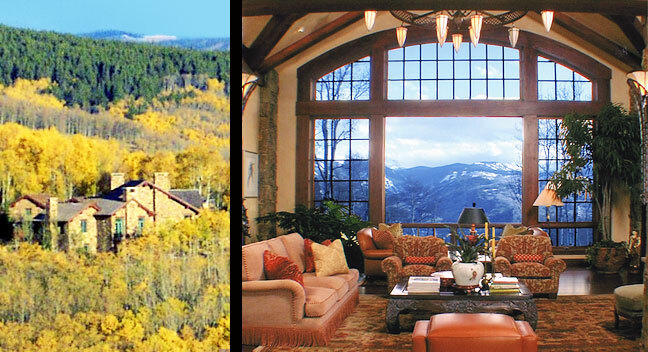 Views of Impressive Colorado Living, Inside and Out! 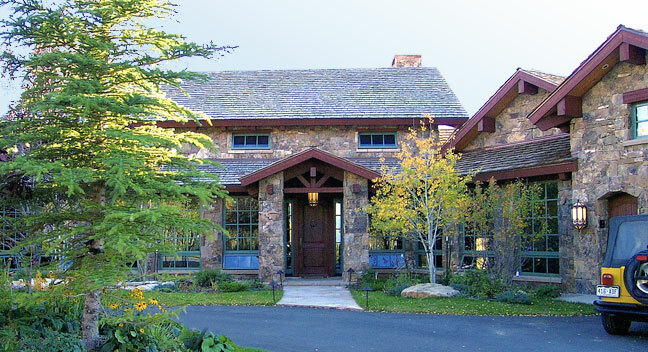 Per the owner's request, the custom-made oversized arched window reinforces the castle-like ambiance. 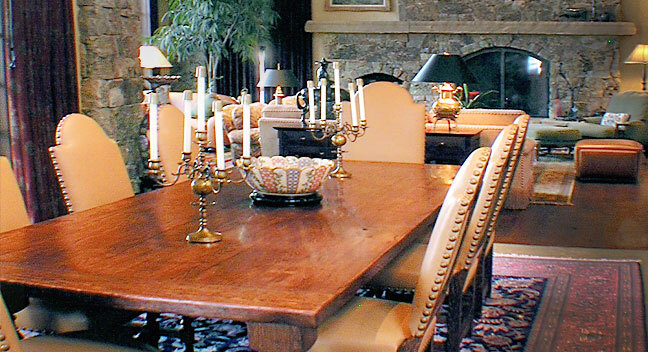 The reclaimed oak table seats 10 in this baronial dining room. 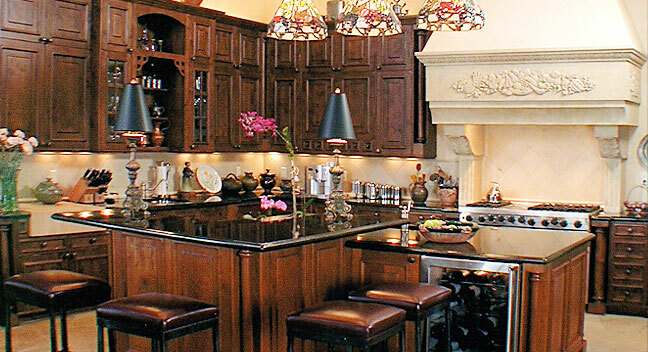 A custom-carved oversized limestone hood tops off a 6-burner Viking range. Large homes demand grand entries, as revealed by this mesquite door adorned by douglas fir trusses.